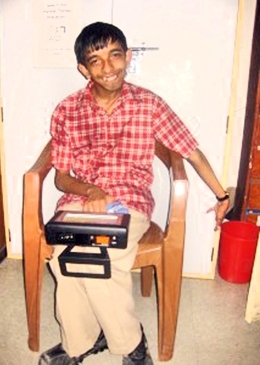 India, Mar 08: Rohit Parekh Jain, a 20-year old from Chennai, with cerebral palsy and has not been able to communicate verbally all his life. A former student of Vidya Sagar, Jain was in Class 12 when he first used Avaz. “Using Avaz, he can now say anything that he wants to and can communicate with people on his own,” says Kalpana Rao, principal of Vidya Sagar, Chennai. Last year, the innovators at Invention Labs in Chennai launched Avaz (priced at a moderate Rs 30,000), which won the National Award for Empowerment of People with Disabilities in 2010. The device was conceptualised during the Silent Revolution Conference (2005) in Chennai. “For 10 years before that, we were importing a similar device, but this was very expensive,” Rao adds. Arathi Abraham, principal designer, 99&1 Design, Chennai, has developed Slate, a content development tool aimed at parents and teachers. She says, “The software enables teachers to create audio-visual communication aids for children with learning disabilities, autism and low vision. It can also be used to create a custom media player for movies, music, audio books and websites that can be accessed independently.” Currently, Slate is used in special schools in Delhi, Bangalore and Chennai. However, experts feel that though technologies can bring about a revolution in the lives of disabled people, they are very expensive, and to make them affordable for everyone is still a distant dream for many in India. “Specially challenged people need affordable and locally usable technology solutions to empower them and overcome challenges. Many of the technologies like JAWS, which costs more than Rs 4 lakh, are beyond the reach of the poor,” said Aqeel Qureshi, Manager of Disability News Asia. Qureshi, who is also the Vice-President of Global Alliance on Accessible Technologies and Environments, says that as of now, there is no policy or law to support technologies for people with disabilities except the Persons with Disabilities Act 1995. 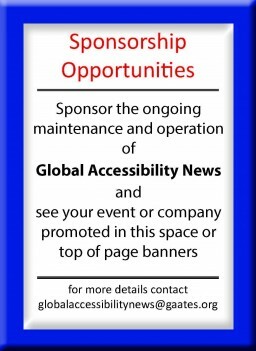 Although Dr Madhumita Puri, executive director of the Society for Child Development, New Delhi, feels that technology has revolutionised the way people with visual or hearing impairment participate in society these days, “There is space for development. A thrust must be given to vernacular languages. Also, as most of the materials are in English, there should be more programmes that deal with translation works”.